Be a Winner this Leap Year! “A day of unlocked potential. Surrounded in history and superstition, February 29 only comes once every four years— and we have one Monday. 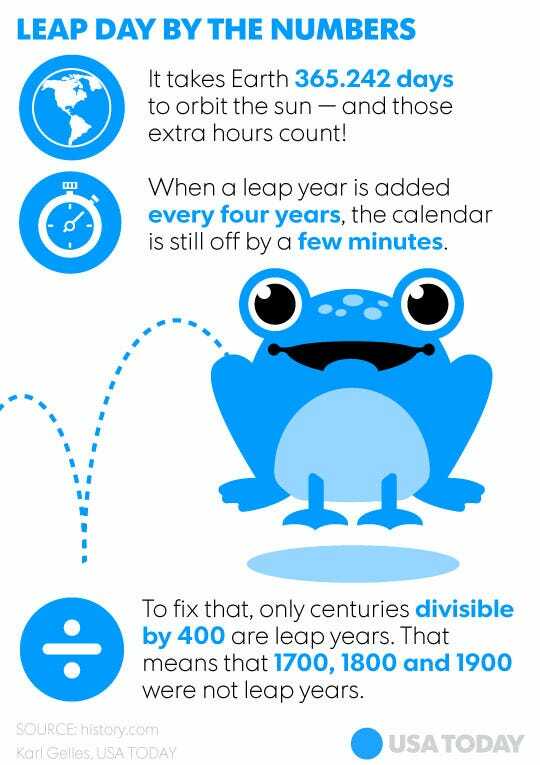 Here are a few facts about leap day. In Ireland, February 29 is Bachelor’s Day – a traditional holiday when women propose to men. Scotland began the tradition in 1288 by passing a law permitting women to propose and if refused, the man had to pay a fine. Now, the tradition is just an amusing historical tidbit. Pope Paul III, the last of the Renaissance popes, was born on a leap day in 1468. Interestingly enough, it was another pope who established the Gregorian calendar – Pope Gregory XIII. Julius Caesar introduced the idea, but the math he used wasn’t quite right, creating too many leap years. Essentially, every 400 years, we ended up with three extra days, so to compensate, centuries must be divisible by 400 to count as leap years. Years like 1700, 1800 and 1900 are only 365 days long, rather than 366. Leap year babies, called leaplings, are said to have unusual talents by astrologers. Two women have given birth to three leap day babies, according to the New York Daily News. The Henriksen family from Norway had their children on leap days in 1960, 1964 and 1968. The most recent family to tie the record is the Estes family from Utah. Their children were born in 2004, 2008 and 2012. So, depending on how you look at it, the children will celebrate their third, second and first birthdays this year. Even more rare, the eighth premier of Tasmania, James Milne Wilson, was born on a leap day and died on a leap day in the 1800s, according to the World Heritage Encyclopedia. In order to gain the cooperation of the indigenous people of Jamaica, Christopher Columbus used the lunar eclipseon February 29, 1504, to his advantage, according to the BBC. The local chiefs decided to stop helping his crew with the food and provisions they had been supplying, so he told them that God was going to punish them by painting the moon red. During the eclipse, Columbus said God would end the punishment if they cooperated. The chiefs agreed to continue giving them supplies, and of course the lunar eclipse ended. On February 29, 1940, Hattie McDaniel became the first black woman to win an Oscar, according to History.com. She was awarded for her role in Gone With the Wind.